Due to rising incomes, more people working full-time jobs, and the rapid pace of daily life, fast food and ready-to-eat food products have risen in popularity over the past decade. While the western world is the greatest consumer of these products, this trend has spread around the world, and there’s no sign of it stopping any time soon. Packaging design is crucial for these products. The majority of purchase decisions are made in-store on the spur of the moment, and as such packaging plays an important role in the decision-making process. 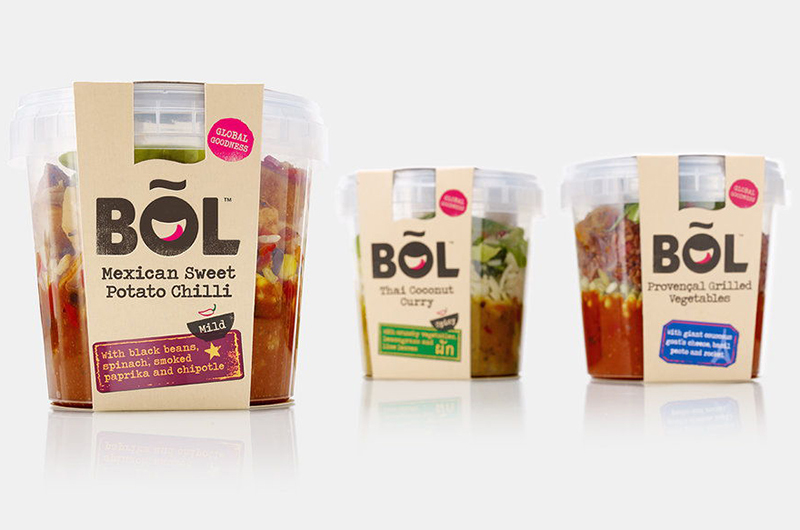 In this blog, we’ll talk about just how integral packaging is for ready-to-eat food and explain what makes successful RTE food packaging design. One factor that convinces consumers to buy a ready-to-eat meal product is presentation. Companies can use creative packaging design to sell taste, enhance freshness cues, and to preserve the products shelf-life. One tool packaging designers frequently use are peep windows. Windows allow the customer view the food they’re buying but in a way that maximises the appeal – showcasing only the best of the product. 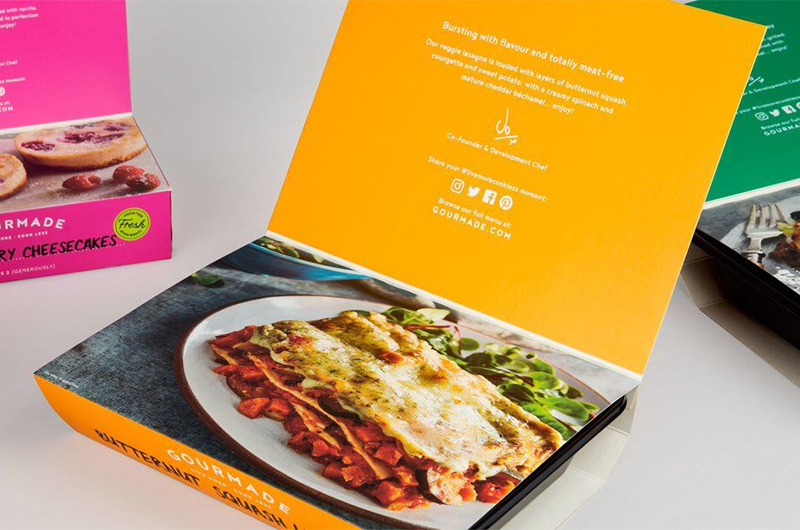 This works well for products which are whole and ready to eat, but with long shelf life foods or partly cooked items, such as microwavable meals, packaging designers often need to use images and text to grab the customers imagination and attention instead. With packaging, functionality is just as much of a concern as design and aesthetics: not only to ensure its contents stay fresh and protected, but for ready-to-eat products the packaging also needs to function as a dish to cook with and eat from, so packaging materials need to be carefully selected to ensure that they deliver on all levels. While the ready-to-eat and convenience food markets continue to increase in popularity, people will come to expect more and more out of their RTE packaging, not just in freshness and functionality but also in the materials they use. As awareness comes to the use of plastic and the impacts that has on our environment and health, people are beginning to demand change. Products and businesses who keep pace with consumers, will reap the rewards. Brandhub specialises in branding and packaging design, and our amazing creative team can do everything from branding products to designing unique creative packaging. Get in touch with us now, to take the first step toward reinvigorating your product!